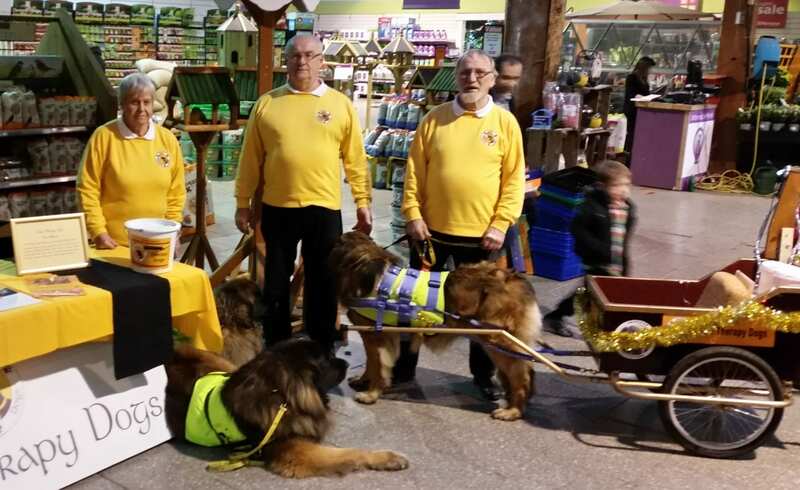 Irish Therapy Dogs would like to thank the Management and Staff at Horkan’s Garden Centre, Turlough, Castlebar for the warm welcome extended to us at our Awareness Day held there on 6th. December. We thank their customers for the interest shown in our Charity and appreciate the promotion and support given, once again, by Horkans to Irish Therapy Dogs. Proud Mum Gypsy(left) with her offspring Hero at AIB Charity Christmas Fair today! 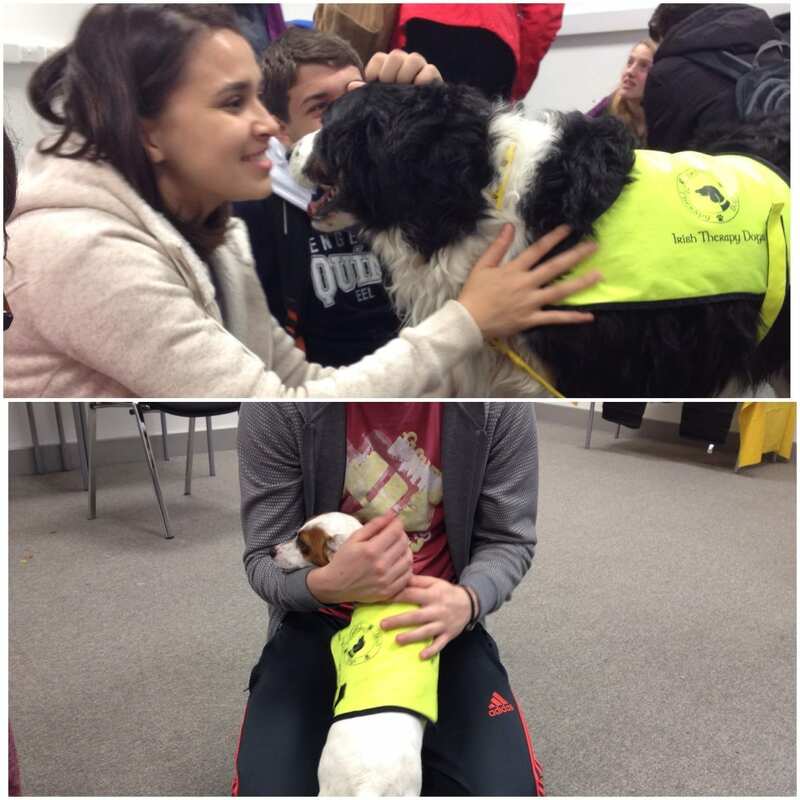 Irish Therapy Dogs’ Volunteers visited University College Cork on Friday last. The afternoon was a tremendous success with many students availing of the opportunity to de-stress before exams as they interacted with our Therapy Dogs. The event also raised awareness of the role of therapy dogs. 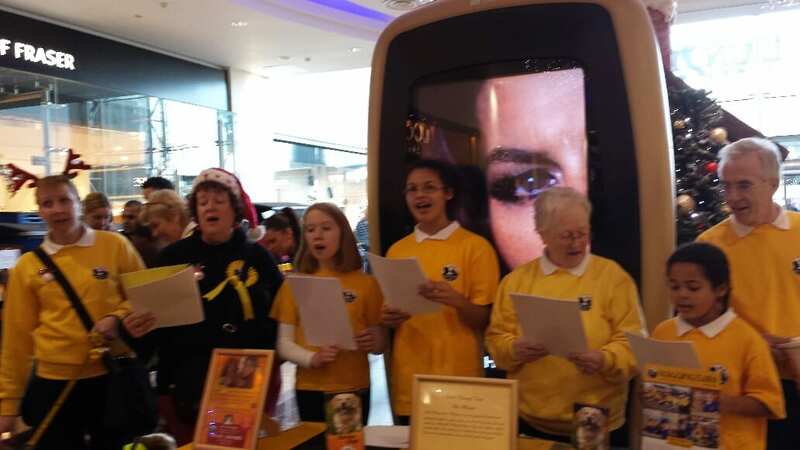 rish Therapy Dogs’ Volunteer Visiting Teams will be joined by members of A Glór Gospel for Carol Singing in Dundrum Town Centre from 10.45am until 12.30pm. on Sunday December 13th. Meet at Main Entrance on Level 1. 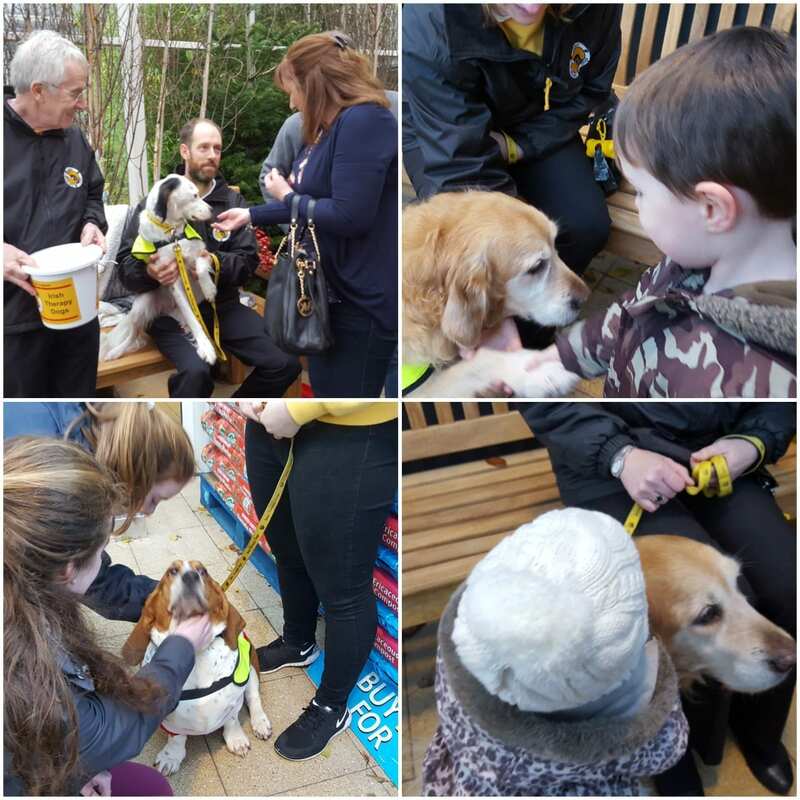 Irish Therapy Dogs would like to thank Gerry, Lydia and all of the team at Orchard Home and Garden, Celbridge, Co. Kildare (a venue favoured by many of our Volunteers) for the warm and generous welcome extended to us at our Awareness Day held there today. We appreciate the promotion and support given always by Gerry and his team to Irish Therapy Dogs. The event was very successful and we acknowledge the interest shown by their customers in the services we provide to Care Centres and Schools. We hope that, in the future, we will welcome back some of Gerry’s customers as Volunteer Visiting Teams. Thank you also to our Volunteers who attended today. Lovely Laois, I hear you calling! Irish Therapy Dogs would like to thank Gerry and Members of the Laois Positive Heart Support Group for the warm welcome given to us when we visited them on Wednesday last. 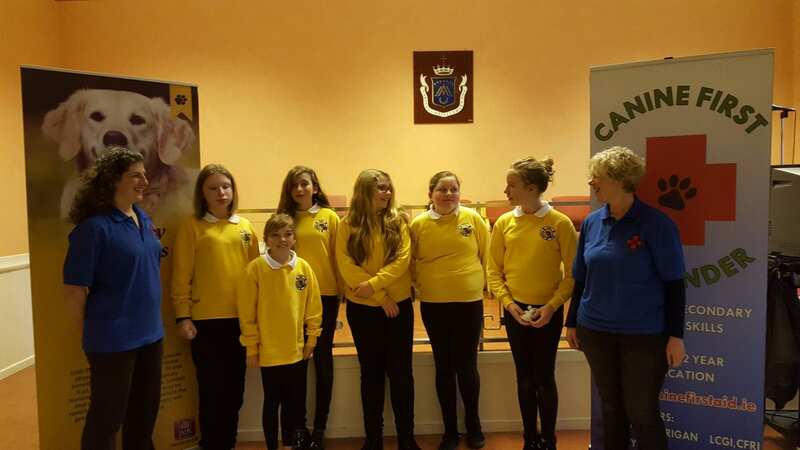 There was a demonstration held on the night where Volunteers simulated visits to Care Centres and showed the therapeutic effect that Therapy Dogs have. This was followed by a Question and Answer a Session and refreshments were then served. We hope that, in the future, we will welcome back some of their members and friends as Volunteer Visiting Teams. 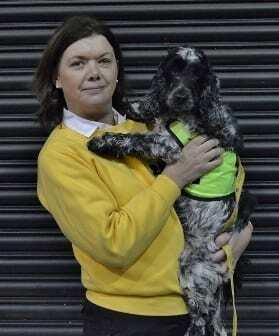 A Sincere thank you to Irish Therapy Dogs’ Volunteer Marie for her Fundraising Initiatives over the past few weeks. Congratulations to Irish Therapy Dogs’ Junior Members, Emer, Grace, Jasmine, Sophie , Kellie and Lara who successfully completed the Certified Canine First Responder Course with Course Tutors Jenny Hale and Karina Kerrigan on Saturday 14th November. 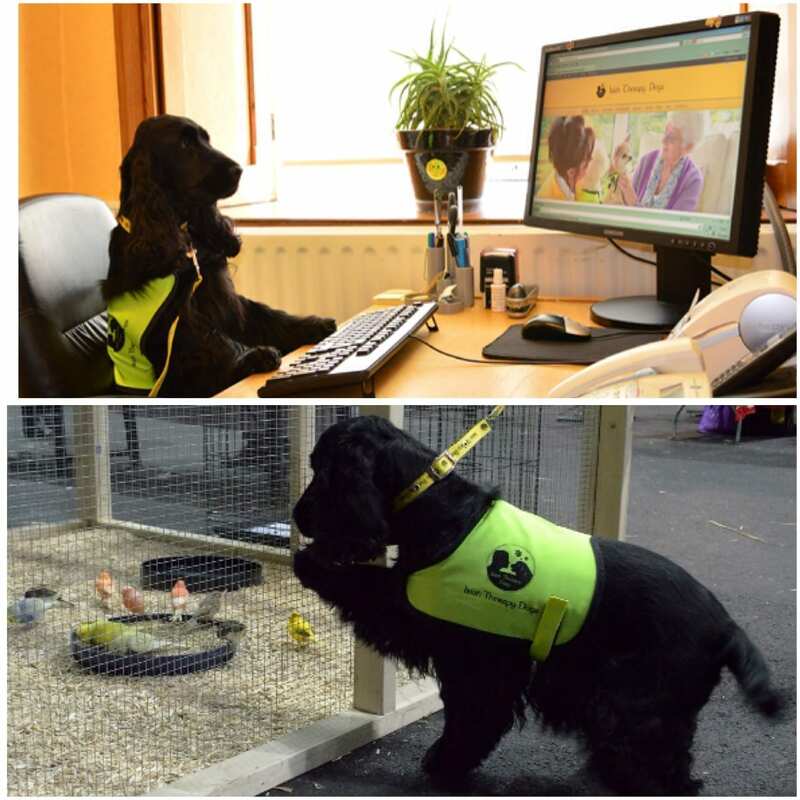 Irish Therapy Dogs’ New Volunteers Visiting Teams! 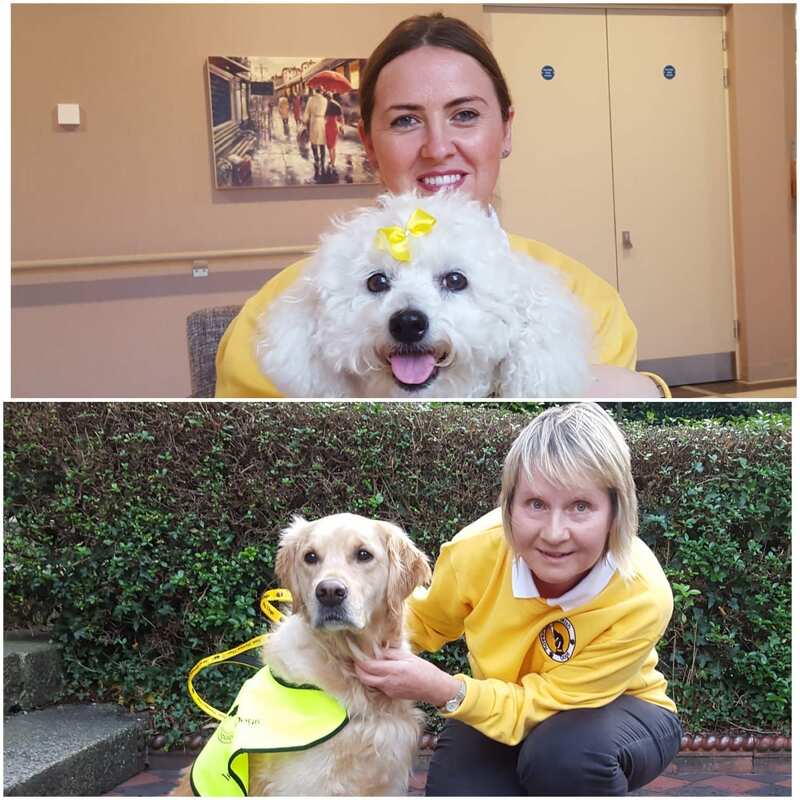 Irish Therapy Dogs welcome New Volunteer Visiting Teams, Deenah and Josie, and Lorraine and Juno. No doubt they too will bring very special moments to all the wonderful people they will visit! 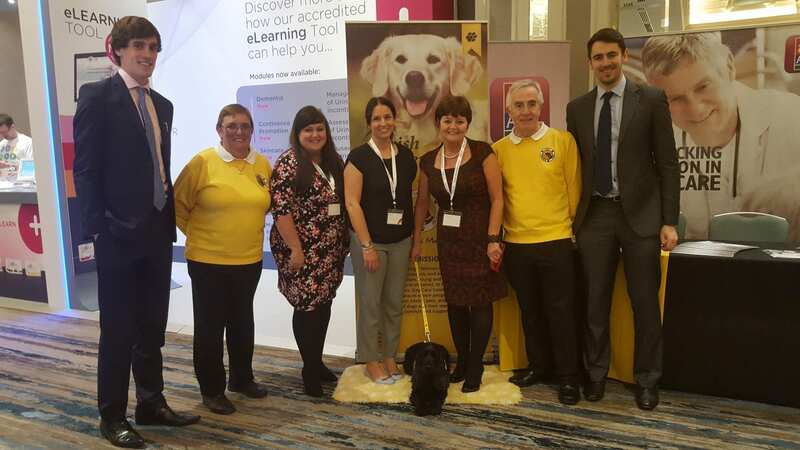 Irish Therapy Dogs would like to thank Nursing Homes Ireland for their kind invitation to their Annual Conference held at Double Tree by Hilton Hotel today. ‘Wagging Tails! 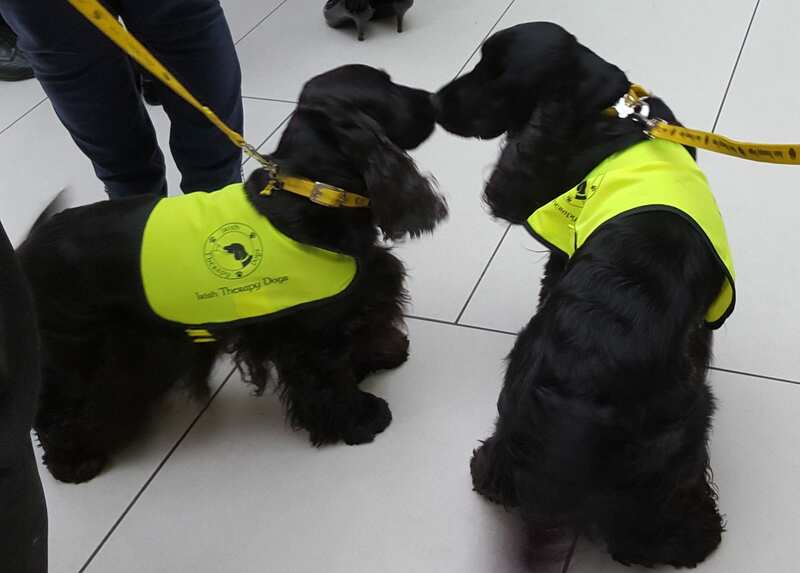 attracted many delegates to our Stand and it was rewarding to see the interest shown in the work of Irish Therapy Dogs and the feedback we received. We appreciate the promotion and support given by Allied Irish Banks to Irish Therapy Dogs.